Why is the Monterey Bay Aquarium one of the best in the world with over two million visitors per year? 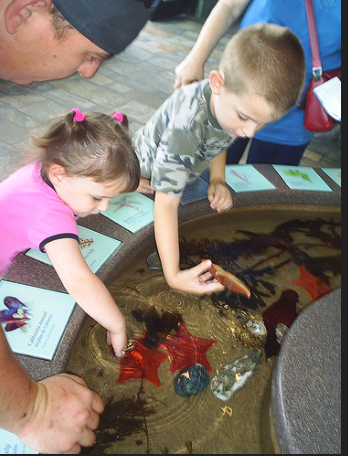 Well, in addition to having more than 600 species on display, it offers a fun hands-on experience for children. They interact with the underwater world and develop a passion for protecting it. When my sons were preschoolers, we lived in Napa Valley—a premier wine-tasting destination with five-star restaurants, hot air balloon rides, and spectacular vistas. We were the envy of our family and friends, but there was one problem. While Napa was utopia for adults, it offered little entertainment for young children. After taking the boys to see the hamsters at Petco and to sit on the riding lawnmowers at Home Depot, I was left wondering how else to entertain them. On those days when I felt engulfed by the grapevines, I'd pack our kids in the mini-van and head south to the Monterey Bay Aquarium. It was the perfect place for an entire day of fun, learning, and exploration with absolutely no grapes! At the end of the day, exhausted but exhilarated, I'd think to myself: I don't know who built this aquarium, but they surely must have had kids! Upon entering the Monterey Bay Aquarium (voted the best aquarium in the world by TripAdvisor), moms and dads can immediately let down their guard, recognizing this is no stuffy science center where they must constantly hush and corral their youngsters. Children are everywhere: large school groups on field trips, babies in slings and strollers, toddlers pulling parents from one tank to another, and grandparents chasing after grandkids. The aquarium was built on the site of a former sardine cannery on Monterey's Cannery Row (made famous by John Steinbeck's novel of the same name). 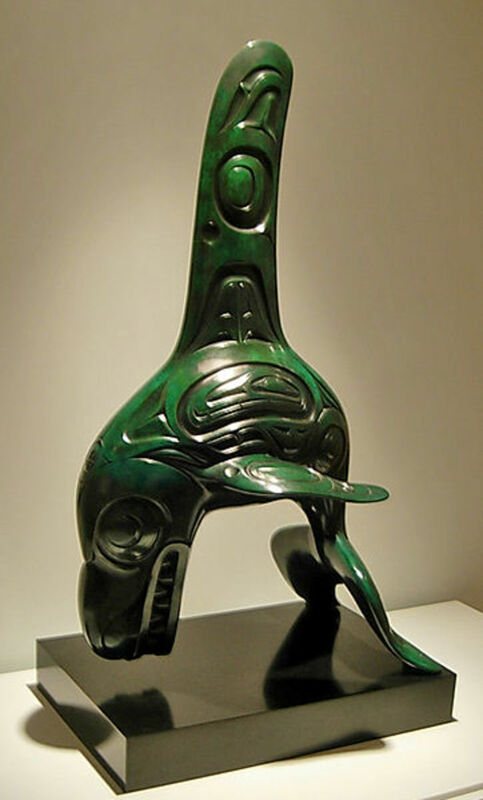 It has over 600 species on display with something new and intriguing at every turn. Exhibits house stingrays, jellyfish, sea otters, tuna, sharks, octopi, squid, and penguins. 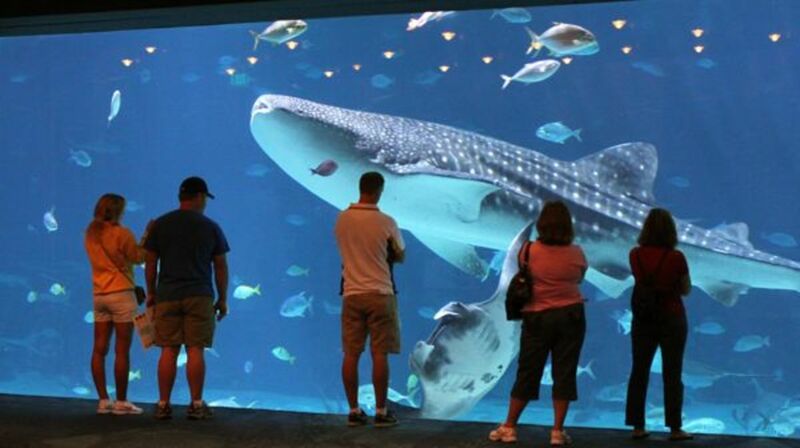 With over 45 Interactive displays, kids can show off their technological prowess while learning about aquatic life. My sons created their own jellyfish on a computer and watched it magically appear on a massive ocean screen right in front of their eyes. Talk about empowering! Multiple touching pools upstairs and down invite children to dip their hands into the icy water and feel sea cucumbers, bat rays, crabs, snails, and sea anemones. Friendly, knowledgeable, and oh-so-patient volunteers stand by to answer questions. On our last visit, my sons and I attended three short presentations led by staff members who were experts on their subjects. We attended one about otters, another about sharks, and a third about creatures of the deep. Just 15 minutes in length, these presentations are ideal for young children. Paid staff, just like volunteers, are pleasant and approachable folks who enjoy talking to children and answering their questions. While they clearly have a profound interest in oceans, they never forget their primary mission is here on land—to inspire children so they will develop an appreciation for the underwater world and work to protect it. While the entire aquarium appeals to youngsters, the Splash Zone is where kids really cut loose and parents take a well-deserved break. When my boys were preschoolers, they could have spent the entire day there: exploring at the water tables, climbing on the play structure, sliding down the slide, dressing up in ocean animal costumes, and crawling through the coral reef cave. When kids tire they can wander over to the nearby penguin exhibit and watch these entertaining birds waddle on land and frolic in water. Amazingly, the Splash Zone even has special sections for infants and toddlers. In the Coral Reef Kingdom, babies 0-1 can touch and explore colorful objects while lying on their backs or crawling on their hands and knees. At the Coral Reef Kingdom, children 0-3 can run, walk, bounce, and flip on an enormous circle-shaped waterbed. 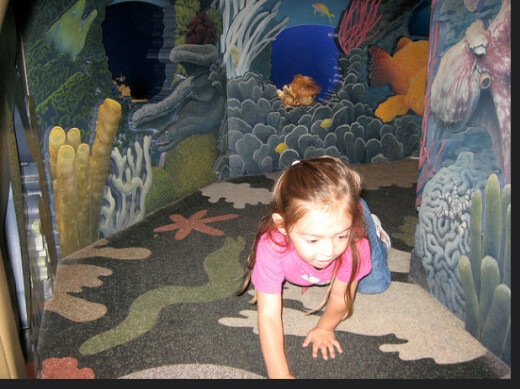 At the Enchanted Kelp Forest, young children can touch plants and animals such as sea stars, kelp crabs, and abalones. My sons and I always leave the Monterey Bay Aquarium feeling hopeful about the future of our oceans and inspired to help them thrive. After one visit we started using reusable cloth bags instead of plastic ones. After another we started buying sustainable seafood (tilipia and US farmed rainbow trout) instead of over-fished choices (crab, tuna, and sea bass). Following our most recent visit, we stopped at a nearby beach where 100 middle schoolers were eating their bag lunches after touring the aquarium. When it was time for them to leave, we watched as they scoured the beach picking up every piece of trash. They left a pristine environment with no trace of their presence, and we knew the Monterey Bay Aquarium had inspired them, too. Point Lobos State Natural Reserve—This is a gorgeous place to hike, take photos, have a picnic, or set up your easel. You might spot seals and their cubs, sea lions, sea otters, and feathered creatures such as herons, pelicans, vultures, and hummingbirds. Point Lobos, with good reason, is often called "the crown jewel of the State Park System." Carmel-by-the-Sea—Carmel is a charming little town with art galleries, shops, and restaurants. Children will enjoy strolling the streets—stopping in the candy and toy stores and tasting a treat at one of the many bakeries. 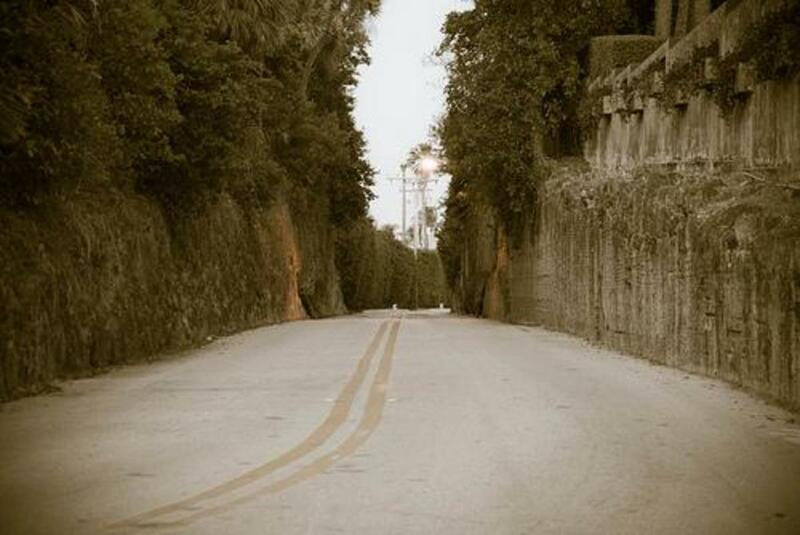 Walk down Ocean Avenue and you will reach the white sand beach. Elkhorn Slough Safari—The Elkhorn Slough is one of California's largest wetlands and home to sea otters, harbor seals, sea lions, and hundreds of species of birds. The entire family will enjoy touring the slough on a pontoon boat captained by a knowledgeable guide. Photographers will have many opportunities to snap away. 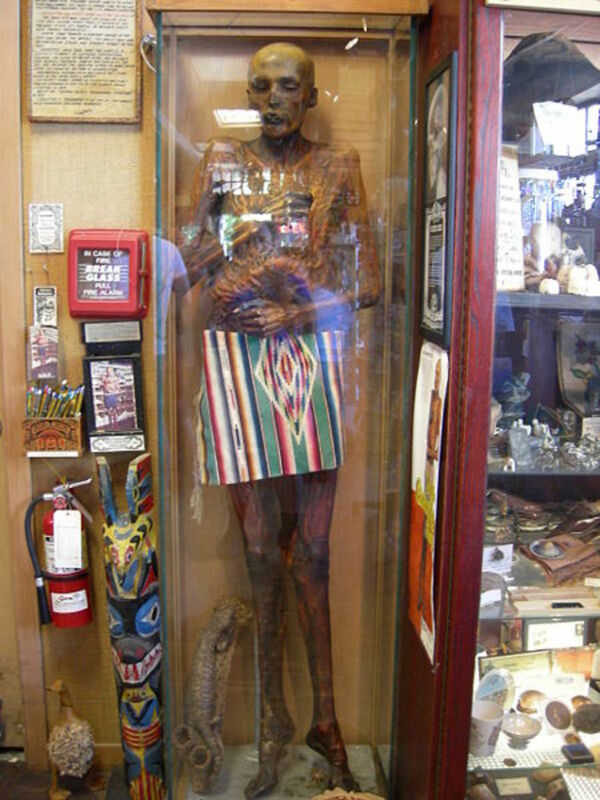 The nearby fishing village of Moss Landing has antique stores, art galleries, and restaurants including Phil's Fish Market and Eatery, a favorite of tourists and locals. 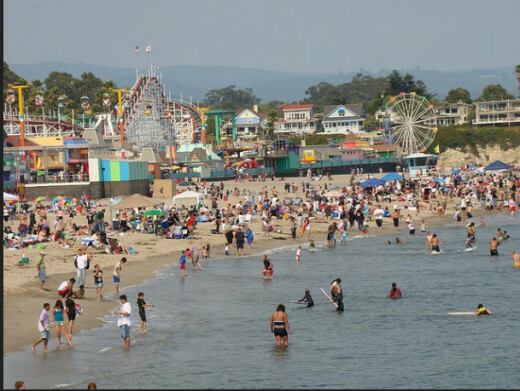 Santa Cruz Beach and Boardwalk—This is a classic boardwalk experience with an indoor arcade, a wooden roller coaster, bumper cars, an old-style carousel, and bands making music on the beach. 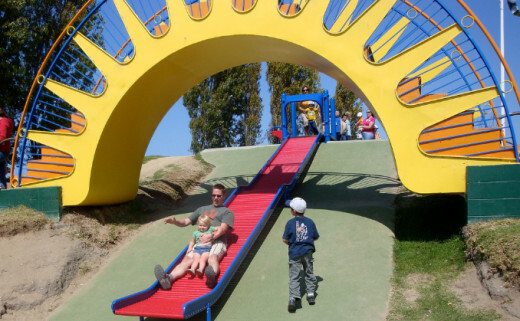 Dennis the Menace Playground—After spending the day indoors at the aquarium, children will enjoy an outdoor experience at this unique playground in Monterey. They can easily spend hours here walking on the train, crossing the suspension bridge, climbing the rock wall, running through the maze, and going down the roller slide. This is no cookie-cutter playground! 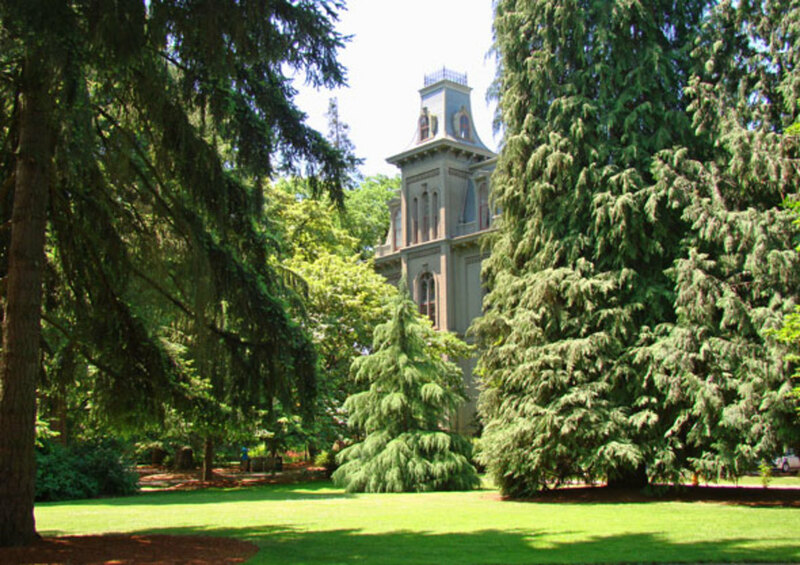 It's located in a 45 acre park that has a snack bar, a skate park, and a lake. Paddle boats are available for rent. What is your favorite family destination in Northern California? Thanks, Glenn. The hands-on exhibits are so valuable for young children because they thrive on tactile experiences. The Aquarium is so educational for children. I feel it's important to introduce young kids to that which exists deep beneath our oceans. It's really a hidden world that few people, even adults, are aware of. The hands-on experience that you talk about is very useful for enlightening children and giving them something to think about. This experience may even engage their thoughts about evolution and how species moved from the seas to land. Thanks! It's a terrific aquarium in a gorgeous setting.